Elizabeth Lapina. 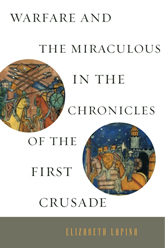 Warfare and the Miraculous in the Chronicles of the First Crusade. Penn State University Press, 2015.